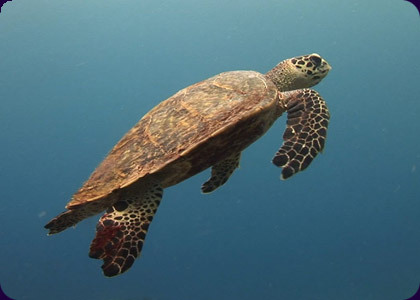 The Hawksbill turtle has been swimming in the southern oceans since the time of the dinosaurs. Over-fishing is now threatening the species' survival and has brought the Hawksbill to the brink of extinction. The Arnavon Islands are nestled in a far corner of the Solomon Islands and have become one of the Hawksbill's most important rookeries in the Pacific Ocean. They're one of the turtle's last stands. Three rival tribes claim ownership of the islands, but their need for resources is threatening the very environment they depend on. Home for Hawksbill tells the remarkable story of how these rival tribes overcame cultural conflicts and disputes over land ownership to protect the islands and save the turtles. Their success inspired others, and is now a model for conservation throughout the world. Jordan Plotsky is an award-winning producer who has worked with National Geographic, Discovery, Natural History New Zealand and independently. He holds a BA in teledramatic arts and technologies from California State University Monterey Bay, and a post-graduate diploma in natural history filmmaking and communication from the University of Otago.